Using a star piping tip, pipe the Bianka Buttercream on top of each Vanilla Cupcake . 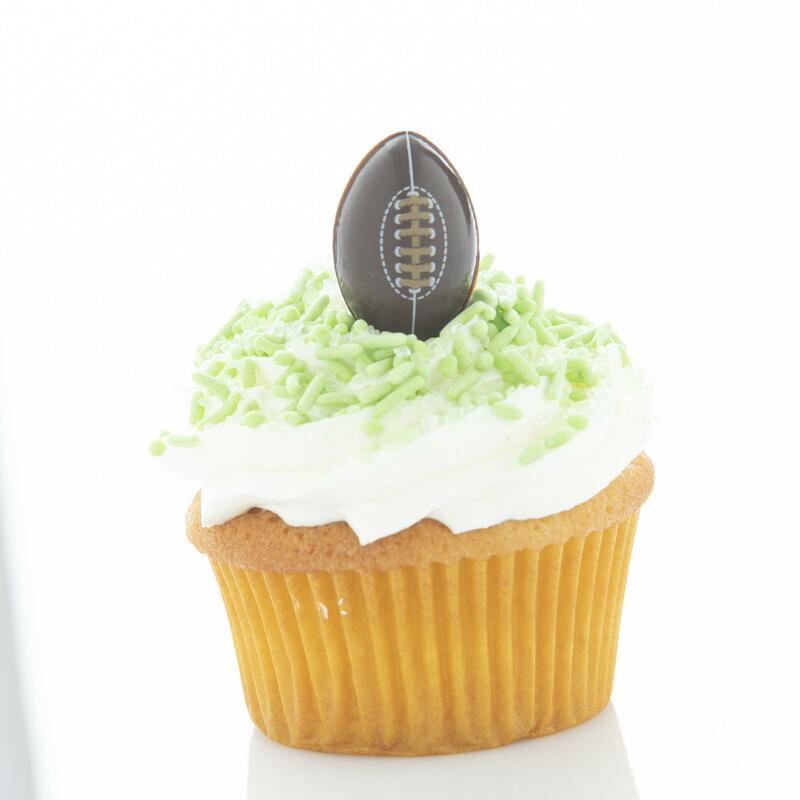 Top each cupcake with a football (616947) and desired green sprinkles. Combine the butter and buttercream base in the bowl of a stand mixer. Using a whisk attachment, whip together on medium high speed for 2-3 minutes or until smooth. Slowly add in the water, a little at a time until fully incorporated. Whip on high speed for 3-5 minutes. In a mixing bowl or a stand mixer add all the ingredients, mix on medium speed for 1-2 minutes, and add vanilla paste. Scoop into cupcake tins with paper liners; Bake at 350ºF/176ºC for 12-15minutes, allow to cool.